In Europe, Ukrainian rapeseed, corn, soybean and wheat is used at E.U. processing plants for the production of biofuel and bioethanol. According to Nibulon, the demand for these Ukrainian grains are continually rising. 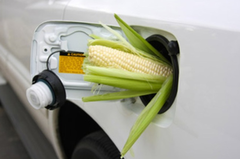 Using bioethanol as a fuel can reduce carbon dioxide, a greenhouse gas, emissions into the atmosphere. In accordance with the requirements of the European Renewable Energy Directive 2009/28/EC on the promotion of the use of energy from renewable sources and the Ukraine–European Union Association Agreement, a National Energy Efficiency Action Plan by 2020 was approved. The plan provides for that the share of energy received from renewable sources by 2020 year will reach 11%. Since 2013, Nibulon has been successfully audited. On the basis of these audits the company renews ISCC E.U. Certificate and successfully exports rapeseed and corn to E.U. countries. The company managed to build trade relations with producers of bioethanol in European countries and to establish direct supplies of domestic corn to the plants producing “green” fuel, in particular to Belgium, the Netherlands, Portugal, Poland and Germany. The main condition for countries growing raw materials for biofuel production is to adhere to sustainable biomass production and to reduce greenhouse gas emissions when growing and transporting material by at least 50% from Jan. 1, 2018. ISCC (International Sustainability and Carbon Certification) system was developed in Germany in order to introduce environmental and social sustainability criteria, namely preventing the transformation of special status land (forests, nature reserves, reservoirs, peatlands, pastures, etc.) to land plots, protection of soil, water, air from pollution, proper use, storage and accounting of plant protection means and fertilizers, creation of safe working conditions, solution of social and domestic issues of workers, calculation and decrease of greenhouse gas emissions. The products of the companies certified according to ISCC E.U. are in great demand in the E.U. markets and are used for biofuel and bioethanol production. In 2017, Nibulon exported 111,664 tons of sustainable corn and rapeseed. In 2018, Nibulon plans to double these volumes. ISCC E.U. Certificate enables Nibulon to work with sustainable rapeseed, wheat, corn, soybean and sunflower. It also is applied to its all structural divisions, namely to the transshipment terminal as the place of receipt of raw materials and shipment point, the company’s all grain storage facilities as places of receipt and storage of raw materials, Nibulon’s production branches growing sustainable raw materials in compliance with all the requirements of ISCC E.U. In addition to the certification of its own crop grown at the company’s production branches, Nibulon said it annually works with Ukrainian agricultural producers who supply its products and provide self-declaration on sustainable production to confirm their sustainable production. The certification body, which checks the production and movement of products for compliance with the requirements of ISCC E.U., annually selects agricultural producers from all over the country to verify the compliance of Nibulon in respect to environmental and social criteria for growing grain and oilseeds and responsible agronomic practices. Before an audit by the certification body, authorized employees of Nibulon’s organization and product quality control department, trading department and purchase department carry out an internal audit of all structural divisions and producers of sustainable products. The majority of agricultural producers treat the organization and improvement of their production in accordance with the E.U. requirements with responsibility.